Surprising to no one but himself, Deadpool has found himself locked up in the psych unit of Crossmore Prison. 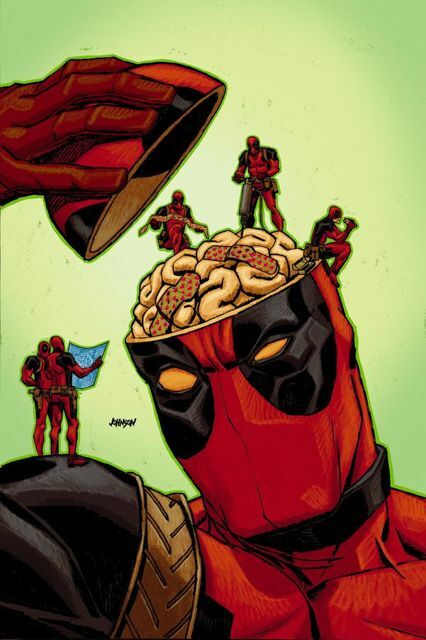 Will therapy help Deadpool finally fix the loose wires in his head, or will the stress of incarceration drive him to a whole new level of craziness? Oh, and speaking of crazy...guess who else is locked up in Crossmore? Here's a hint-his name rhymes with 'pool killer'. Which, coincidentally, is a pretty accurate description of what he intends to do.